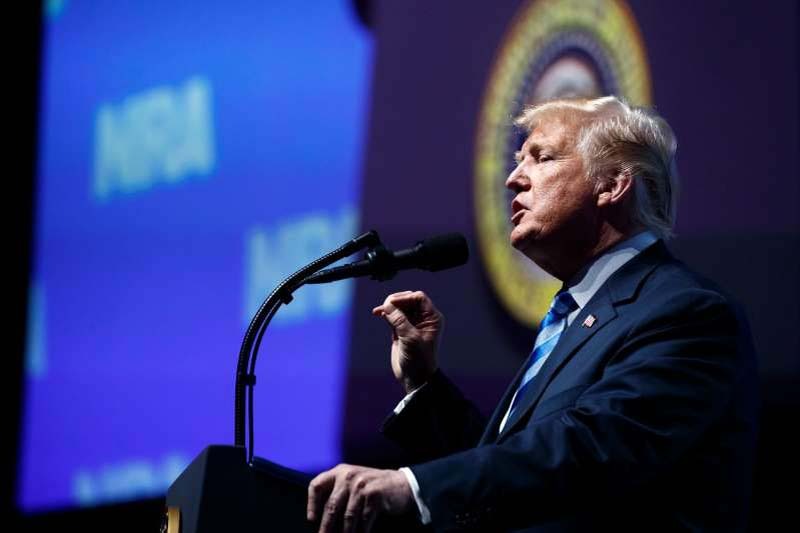 © Tom Brenner/The New York Times President Trump addressing the National Rifle Association Leadership Forum on Friday in Dallas. At least nine of the 17 lawyers on the team led by the special counsel, Robert S. Mueller III, have donated to Democratic campaigns, according to Federal Election Commission records. One has previously identified as a Democrat in a blog post. Three others are registered as Democrats, The Washington Post and PolitiFact have reported. But the political affiliations of the remaining four lawyers are unclear.